If you are an avid television viewer, or are a fan of the Marvel Series, then you have probably heard of the show on Netflix, Luke Cage. This show follows an ordinary man that gains super strength and durability by a sabotaged experiment. Wrongly accused, he escapes prison to become a superhero for hire. Executive Desk Company was recently informed that one of our desks, featured on the show, was our very own Nino D Modern Desk! Below is a link featuring the items shown in this very popular show. Here at Executive Desk Company, we are very proud to have our furniture showcased on such a highly acclaimed television series. How often does one find themselves in the midst of deadlines and business demands experiencing the stress of time management? The need for “more hours in the day” is commonly dreamed of from behind hundreds of thousands of executive desks throughout the nation. From the mouth of an American entrepreneur and former CEO of Apple, Inc., Mr. Steve Jobs, came the wise words and realization that the, “favorite things in life don’t cost any money. It’s really clear that the most precious resource we all have is time.” Time is indeed precious, in fact, as a MasterCard commercial might define, “it’s priceless”. Juggling one’s time, personal verses professional, has become the collective dilemma which everyone can relate. Making every minute count and discovering ways to be more efficient with our time is a shared objective in today’s competitive and demanding business world. The cultural trends and technological realities of our time have changed how and where we spend time working in our professional life. No longer does one need to be “at work” or “go to work” and sit at their executive desk to get things done, so to speak. Work today is what one “does” not someplace one goes. The introduction of the home computer, in the late 1970’s, is understood to be the culprit for the cultural change in how and where people work. Likewise, in direct correlation, in the 1970’s the term “telecommuting” was coined by Jack Nilles, a University of Southern California professor who was directing the research on the present and future impacts of information technology in the workforce and beyond. The future is now upon us and, today, telecommuting is standard practice in most companies as many employees do not commute daily, adhering to a routine schedule, to a central place of work, but rather often work from home or wherever they may be, any time of the day or night. When successful, the most obvious benefit to telecommuting is the time saved in traveling to and from work each day. Rather than sitting in one’s vehicle in congested traffic during peak morning or evening commute hours, telecommuters may enjoy the perks of perhaps beginning their work sooner in the day, while still in pajamas, sipping morning coffee from their home office desks. Time saved avoiding the roads can be significant, sometimes up to a couple hours per day. Rather than wasting time behind the wheel, the time may be capitalized on much more efficiently and productively. Ideally telecommuters should have a separate office at home, complete with the necessary resources and technologyto get work done. The correct home office environment, away from domestic activities or distractions, and suited with professional office furniture such as an appropriate home office desk, a comfortable office chair, technology components and any power and data accessories that will facilitate efficiency at work is a must. The highly autonomous work arrangement of telecommuting requires that employees have a proven record when it comes to particular professional, business traits and etiquette of the job. A successful telecommuter must have self-motivation, independence, confidence and reliability. They must also have strong organizational skills and time management proficiency, with an unwavering ability to maintain focus on goals and results. Like with most things, when it comes to telecommuting it is suggested that, with efficiency at the heart of the objective, balance is key. For purposes such as fostering strong working relationships and camaraderie amongst colleagues, a combination of telecommuting and working on-site at the office is arguably the most beneficial strategy over full-time telecommuting work arrangements. Part-time telecommuting may be an optimal employment deal because it promotes efficiency and productivity through flexibility. Whether one is situated astutely, at their executive desk in the office, or informally, behind their home office desk in the comforts of their residence, one thing remains the same… work is efficiently in progress. Let us make you a “SUITE” deal! Find more than just executive desks, discover a plethora of unique, modern, executive office furnishings! From the eye-catching, reception desk, immediately upon entering into the lobby, right down to the stunning conference table, we are ready to assist you in creating your ideal professional and contemporary suite! The receptionist of old Hollywood movies has long since been forgotten by many modern business people. The image of the overly decorated young woman filing her nails and chewing gum as she hap haphazardly manages phones and clients has become a story book character. Gratefully the reception area of any business has become a place of serious thought and reflection when a business owner looks to arrange it to present well to their clients. Edeskco.com understands the importance a first impression makes on your potential leads and customers. That is why they created the ARES round reception desk. This modern reception desk offers a throw back feel to the classy office spaces of times past but with modern lines and practical space arrangement. The Ares desk offers a touch of class that will be sure to provide a strong presence in your reception area. 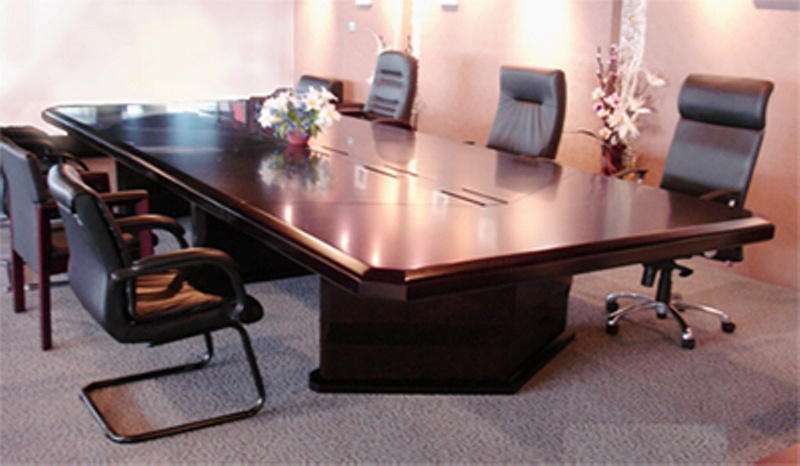 Edeskco.com provides a wide range of beautiful desks and modern office furniture for the executive business space. Besides the well appointed looks of the designs these desks offer a wide range of flexibility in their final look. Choose from a number of real wood veneers, glossy lacquers and other classy finishes. You can also work with Edeskco.com’s helpful and knowledgeable staff to co-create your modern office furniture by adjusting sizes and small details of your furniture so that it fits perfectly into your work space. Getting your furniture exactly the way you need it and want it has never been so easy. Modern and classy is today’s ideal way of greeting your clients and you can do it with ease when you place the Area reception desk at the front and center of your business. Take the time to invest some thought and purpose into the all important reception area of your business today. Stuffy offices that are over crowded and brimming with paper work are a thing of the past. With all of the new technology that allows us to reduce papers and manual files, offices have become streamlined and easily managed. This modern change has opened up a door into a minamlistic style of decorating to accompany the minimal amount of clutter we deal with. 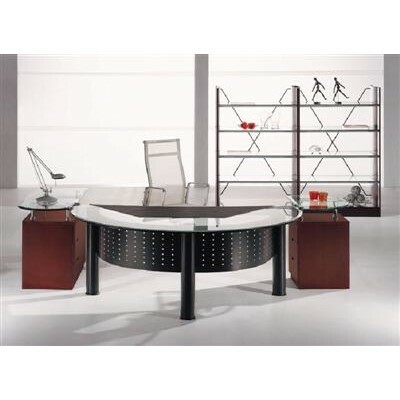 Edeskco.com offers a wide variety of modern executive desks that can fit the needs of the modern day business man. With less need for drawers, files, nooks and crannies, executive desks have gone from bulky and foreboding to cool and purposeful. The Santa Barbra PerG executive desk is a perfect example of how to bring steam lined and modern into your office without losing the feeling of a strong executive presence in your office. The modern office furniture found at Edeskco.com is flexible in its construction which gives you the ability to put your own finger print on your office style. Easily customized, the executive furniture can be made to fit the particular needs of your office with out stress. Choose from a variety of real wood veneer finishes as well as highly modern flossy lacquers. All furniture is made to your specifications and created to stand the test of time and endure the highs and lows of business style. Don’t fill your office with drawers and file cabinets in a world where paperwork is quickly becoming obsolete. Invest in modern office furniture that will stand the test of time and the changes coming in our quickly evolving business world. Whether it be the Santa Barbra PerG executive desk or any other beautifully crafted desk from Edeskco.com you will find that creating a space to work in is easy and satisfying when you work with a company that really cares about what you care about. Rich woods and clean lines are the request of so many clients and the designers at Edeskco.com have listened and are excited to offer a line of beautiful modern office furniture. Modern art is renowned for its strict adherence to refreshingly crisp lines and colors that soothe the senses. This qualities are brought into your office with the Jesse executive desk. This modern desk offers the classic feeling of a solid wood desk but with the lines and details of the modern desk. Your executive desk speaks as an art statement in your office and can provide your clients with a positive feeling when they walk in, or just the opposite. When choosing your modern executive desk, take the time to consider how much time you spend at it. How much space will you require. What sort of space to you need for your clients and employees when meeting with them. Take into consideration the ergonomics of your desk as well as the comfort of the desk you spend so much time at. At Edeskco.com, great attention is given to our clients. We want you to have a say in the outcome of your furniture. That is why many of our piece s are available with a number of customization. Choose from real wood veneers for that rich classic look. Or pick from high gloss lacquers that will make your office glisten with modern shine. The sizes and shapes of many desks are also flexible allowing you to get the desk you want fitting perfectly in the office space that you have. Don’t settle for less than exactly what you are looking for. 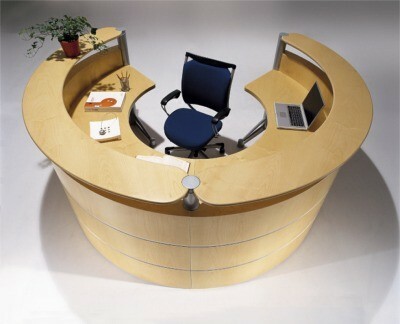 Let the helpful staff at Edeskco.com help you to co-create your one of a kind executive desk and discover the great feeling yo have when you sit behind a desk that you truly love. An executive desk worth featuring should provide lasting style, a high level of function and a great price. That’s why this week we are talking about the beautiful Philadelphia Field Desk. This desk has lasting appeal in its modern yet timeless design. Clean lines and rich layering give the modern executive desk eye appeal as well as a nod at Zen styling. The Field executive desk is also designable in its customization options allowing you to make it the prefect desk for your office space and needs. Take the Philadelphia Field Desk or any of our stunning executive desks and make them your own with a wide range of real wood veneers, lacquer finishes as well as wood paint finishes. Take the timeless appeal of this beautiful desk and give it the edge you are looking for by adding your own personal taste. Edeskco.com provides not only numerable options to customize your office furniture but also invests time into their clients. We can help and guide you through the ordering process, assuring that you get the furniture just the way you want it. If the Field executive desk suits your needs, find out today how easy it is to have the desk custom made to fit your space and decorative needs. Our desks are built to last. We give great thought to all materials and finishes and how they will help the piece to endure the test of time so that your investment will be with you for the years to come.